A place for me to find my voice again. One thing I like about reading books through a review service like NetGalley is finding new authors that I end up liking, new genres that broaden my horizons, and finding common threads between authors. This was true with my latest book – another anthology, which I usually don’t read, by 4 authors I hadn’t heard of before. 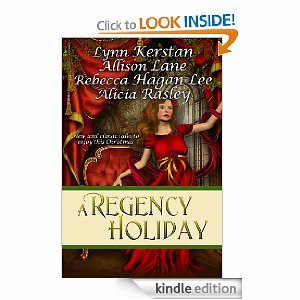 A Regency Christmas is an anthology of 4 Regency-era Christmas stories: “Coventry’s Christmas” by Rebecca Hagan Lee; “Star of Wonder” by Lynn Kerstan; “A Christmas Homecoming” by Allison Lane; and “Home for Christmas” by Alicia Rasley. Even though I usually don’t read anthologies, I liked all of the stories in this book. They all had a sense of people realizing their lives needed to be different – usually at the instigation of someone unexpected. 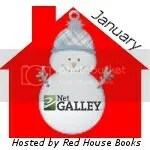 In “Coventry’s Christmas”, Amabel leaves her home to travel to her guardian’s house. Her father remarried and her step-mother is pretty and jealous, especially after Amabel’s father dies. There are limited eligible men in Amabel’s hometown, so Amabel has to leave. Unfortunately for her, the original guardian her father selected died a number of years ago, leaving his son Deverell in charge. He doesn’t have the greatest reputation, but he hides a heart that means well under all of the dissolute living he has done. Frankly, the sweetest part to me was a letter that Deverell wrote as a pre-teen to Amabel’s father (after his father died), and then the corresponding letter Amabel’s father wrote when Deverell reached his majority. “Star of Wonder” is about a journey. A journey a man has been on since he was 14, and which ends when he arrives at Stella Bryar’s home at Christmas search for something he claims her father stole before he died. It’s a journey that Stella has to be willing to take within herself, to understand who her father was, and to right a wrong done so many years ago. Sometimes coming home forces you to see the truth. In “A Christmas Homecoming” Alex comes home to deal with his family estate. He comes face-to-face with the woman who jilted him six years before, a cousin who has issues, a houseful of potential brides (invited by his grandmother), and a mother who is just coming out of her grief over the death of Alex’s father. Alex is forced to confront the truth of the various situations, and not just rely on his perceptions of what happened – including the woman who jilted him. I probably enjoyed reading “Home for Christmas” the most. Justin arrives at Verity’s house in search of a knife that Verity advertised in the paper. He is “hijacked” when he arrives by her. She needs him to pose as her husband during her visit with her father. The deal is that Justin will get the knife after a successful visit. There are layers upon layers of deception and untruth in this story – on all sides. Verity isn’t completely truthful with Justin, her father, or herself. Justin has been living a lie for so many years that for him to tell the complete truth could cause a lot of damage to those he loves. Verity’s father can’t see the blessings in front of his face. I received this book through NetGalley. I was not required to write a positive review. All opinions are my own. Jennifer has read 14 books toward her goal of 150 books.